How Can I Track Santa? Track Santa and the Parade during the Seminole Hard Rock Winterfest Boat Parade. 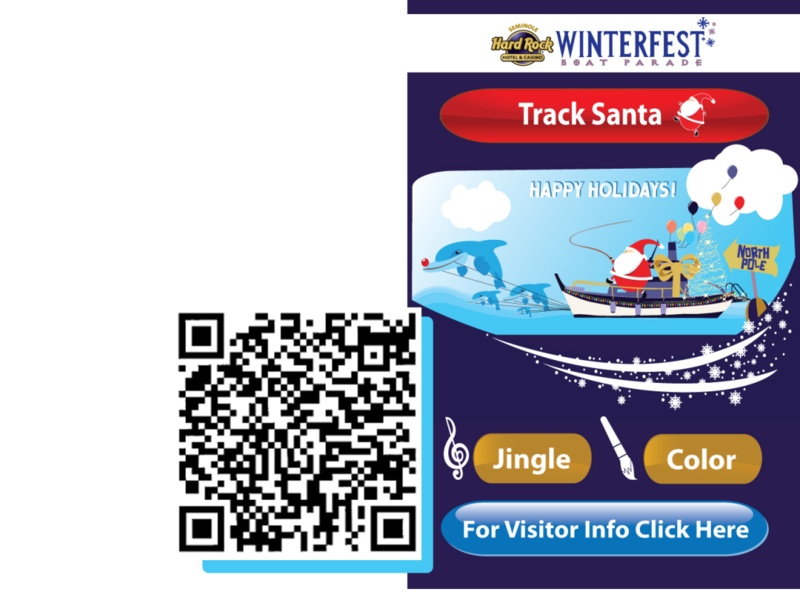 Download the Winterfest Parade Tracker powered by Ford and vote for your favorite entry. You have a chance to win 2 Southwest Airline Tickets (see the People’s Choice webpage for details). Color, shake and play holiday tunes and the night of the Parade – Special thank you to Visit Florida.